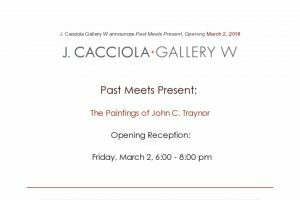 As a young artist, John C. Traynor was fascinated with the Old Masters, specifically Michelangelo, Leonardo, Rembrandt, Frans Hals and Albrecht Durer. A pivotal moment for Traynor occurred when he discovered the influential work of George Inness: “There was a large show of Inness paintings at the Metropolitan Museum of Art that I went to with my father when I was 18. 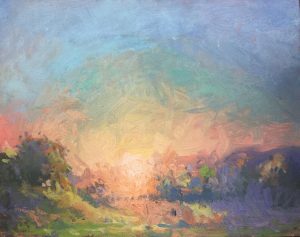 He is one of the artists that still inspires me.” According to John C. Traynor, “As I matured as an artist, I became interested in some of the American Impressionist and Tonalist painters. 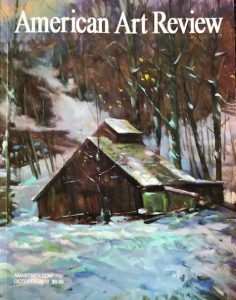 Some of my favorites were Fredrick Mulhaupt, John F. Carlson and Edgar Payne.” Traynor’s defined brushstrokes hearken to Payne’s vivid landscapes. Others such as Corot, Monet, and Manet encouraged him to go outside and paint landscapes. In addition, some of the figurative artists he related to early on were Sargent, Sorolla and Bouguereau. Prior to World War I, many American artists went to Europe to paint and teach classes. After the war, artist colonies starting popping up here in the United States, particularly in New Hope PA, Old Lyme CT, Cornish NH, Dublin NH and Ogunquit ME. Traynor comments: “These were of great interest to me and I studied many of these startup colonies of impressionist painters. 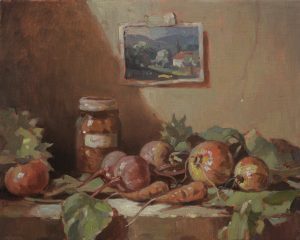 I can relate to many of these artists because they painted outdoors as well as in studios lit by Northern Light, using the same principles of painting that I use.” In addition, there were many other colonies of painters across the country including Brown County, Indiana; and Carmel and Laguna Beach, California. 2017 Ewing Arts Awards magazine featured the painting “High Dunes-10th Hole at Chambers Bay” for the cover art. 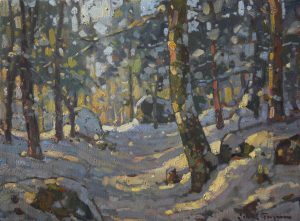 Impressionist and landscape artist John C. Traynor spent his early years in New Jersey, but did not lead the life of a typical young person. Intrigued by art at a young age, Traynor hurried through his schooling, finished high school a year early and was accepted into the Art Students League of New York as a merit scholar, with teacher Frank Mason. 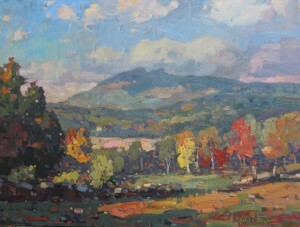 The summer before attending the Paier College of Art in New Haven, Conn., Traynor also spent time with Mason in Stowe, Vt., honing his landscape painting techniques. “My time in Vermont was heavily influential on the rest of my painting career”, says Traynor. After his first trip to Stowe, the young artist would return to the same residency the following five years. He holds fond memories of his host family in Vermont who were also artists. “In the evenings, I would come home and would be blessed with a few solitary hours in their studio,” he says, the delight at this thought seemingly unsurpassable. Today, he keeps a close and intimate connection with New England’s landscape at his home and studio in Swanzey. He follows in Mason’s footsteps by “giving back” to the art community as a teacher himself. He loves watching the world in a new way through his pupils’ eyes as they paint the same scenes he knows already. Traynor was young when he finished his schooling, just 20, but his fierce determination to make a name for himself in the art world spurred him on. Tirelessly, he would schlep his paintings to outdoor art shows all over the Northeast where he would sell a few pieces to get by. More importantly, he began networking with collectors and began climbing the totem pole in the art realm. His hard work paid off and he began showing in many galleries; an array that today spans the United States. 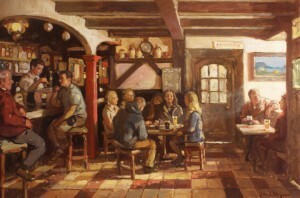 It is easy to get lost in the composure and tranquility of Traynor’s unique immersion in realism and atmospheric impressionism. His remarkable talents extend to every genre; landscape, still life and portraiture. His ability to connect emotionally with humans and deeply with the land is exceedingly apparent through his work, which often stirs memories of tender moments or distant reminiscences in the hearts and minds of the viewer. “I’m not into making big worldly statements about politics or life,” says Traynor of his work. He seeks beauty, internalizes it and renders it in the best way he knows. For this artist, sharing the delights he finds in the world around him is his pure ambition – the rest is left to the viewer to interpret, make sense of or place judgment. Traynor also gained much of his inspiration from his many trips to Ireland. His first venture to the Emerald Isle took place when he was 18. Resembling any adolescent knee-deep in an identity crisis, Traynor left his six brothers and sisters behind in search of his roots. He loved the solitary and sweet meandering, following the whims of his desire, as he biked across the countryside, camping and stopping to paint the scenes that tickled his senses. Traveling still holds an important role in Traynor’s painting career and many of his works are motivated by his expeditions to Ireland, Holland, Italy, France, England, Scotland, Austria, Israel and many locations across the United States, including Hawaii. That said, the nomadic artist always returns to his New England studio. And what a studio it is. Designed by Traynor himself, the space’s lofty ceilings, enormous windows and heavy wood create an airy, yet cozy and rustic feel. In the center of the studio, the dark wood of a beautifully carved table sets apart the golden frames that protect the artist’s deep-toned oil painting that line the walls and sit propped against easels or chairs. “It’s a big step up from my last studio,” Traynor jokes, referring to an old drafty barn with a small wood stove he occupied a few years ago. Nonetheless, even with the newer space, modern lighting included, Traynor still relies on sunlight to dictate his work days. “I prefer natural light. My paintings look different when I work by artificial light,” he says making a face. So, the artist makes peace with his vision and continues on, choosing to see the changes in his art as progression, rather than regression. 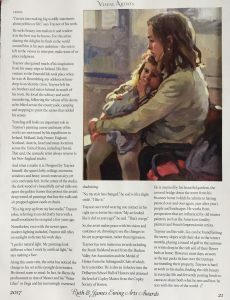 Traynor has won numerous awards including the Frank DuMond award from the Hudson Valley Art Association and the Medal of Honor from the Salmagundi Club, of which he is a member. He is also an inductee into the Delbarton School Hall of Honors and attained the level of Copley Master from the Copley Society of Boston. He is inspired by his beautiful gardens, the covered bridge down the street from his Swanzey home (which he admits to having painted over and over again, year after year), people and landscapes. He works from perspectives that are influenced by old master painters, such as the American tonality painters and French Impressionist artists. Celebrating the arts every Memorial Day Weekend in beautiful Paso Robles, California, PASO ARTSFEST takes place on Saturday, May 28 and features an Outdoor Fine Art Show & Sale filled with some of the most talented plein air artists in the US and beyond, a Local Stars Quick-Draw, the Kids Art Smart Zone, CREATEspace for adults, live music and performances and the best wine bar in the area. Paso Robles is located on the Central Coast of California, almost exactly midway between Los Angeles and San Francisco and 30 minutes from the Pacific coast. The Festival in the Park is ONE DAY ONLY! See “Events” tab for more fun events throughout the weekend. 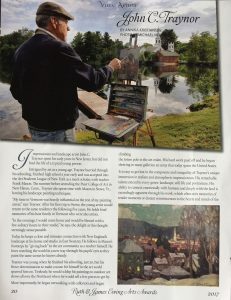 John was ask to do a demonstration for the American Artists Professional League below is a link to his demonstration. Enjoy! 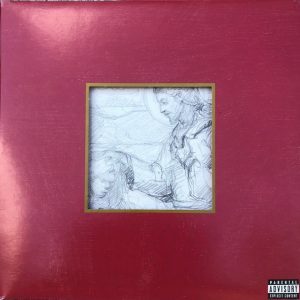 John has an unique ability for portraying the human art form and capturing the personalities of his subjects. 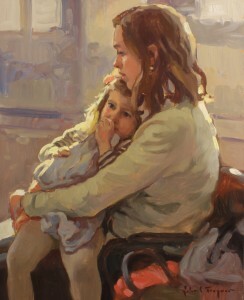 Come view for yourself the emotion and stories behind each painting in this collection. “I visited John’s studio last year and was completely swept away by a group of figurative paintings he was working on. I told John I had to have these paintings in our gallery to show this new direction he discovered. I’m truly fortunate he agreed to a one man show featuring these new figurative works at our gallery in Boston”.